The latest two-wheeler from the Indian company is an 110 cc commuter motorcycle aimed at youth from semi-urban and rural markets looking for an affordable yet trendy means of commute. 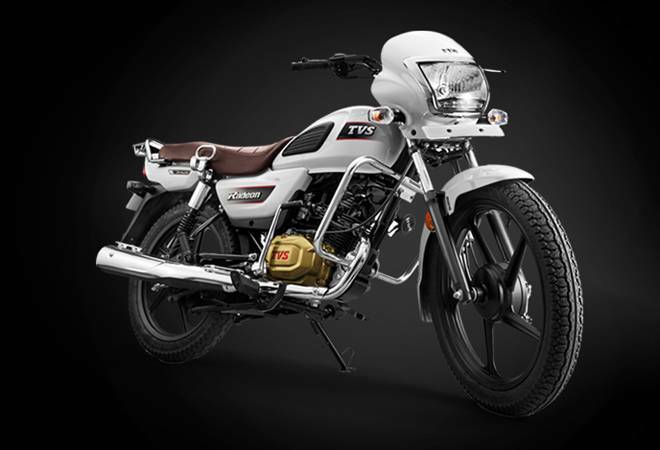 TVS Motor Company launched its new offering, the TVS Radeon, in India with a price tag of Rs 48,400 (ex-showroom Delhi). The latest two-wheeler from the Indian company is an 110 cc commuter motorcycle aimed at youth from semi-urban and rural markets looking for an affordable yet trendy means of commute. To attract the younger consumer base, the TVS Radeon has been presented with a new design language. The TVS Radeon has an all-new chassis with a single cradle tubular frame. The powerhouse for the new motorcycle is a 109.7 cc motor borrowed from TVS Starcity+ which churns out maximum power of 8.3 bhp at 7,000 rpm and maximum torque of 8.7 Nm at 5000 rpm. The engine is married to a 4-speed transmission. With these internals, the TVS Radeon promises fuel efficiency of 69.3 kmpl. Coming to the design language, TVS claims that the Radeon is designed to resist damage from impact. The commuter motorcycle comes with Synchronised Braking Technology which TVS claims is a first in the category. This technology provides better control while braking, and minimises skidding. With high ground clearance and wide wheelbase, the TVS Radeon is well-suited for the uneven roads usually found in small cities and villages, its targeted market. The front suspension is a telescopic oil-damped unit, whereas in the back is a five-step adjustable hydraulic. The TVS Radeon comes with big 18-inch wheels. Deliveries for the TVS Radeon are listed to begin from next month and TVS Motor Company intends to sell two lakh units within one year. It will join the TVS Star City +, TVS Victor and TVS Sport in the commuter motorcycle portfolio of the company. The biggest competitor for the new commuter motorcycle will be the long-reigning favourite from the segment, the Hero Splendour.